Camaro, arguably one of the most legendary names in the history of late-model Chevrolet Muscle Cars, is once again the basis for limited-edition Specialty Vehicles from SLP; the Camaro SS-based supercharged ZL560 and ZL585. Camaro ZL585 Supercharged is based off the V8 LS3 426 HP engine with the 6-speed manual transmission. 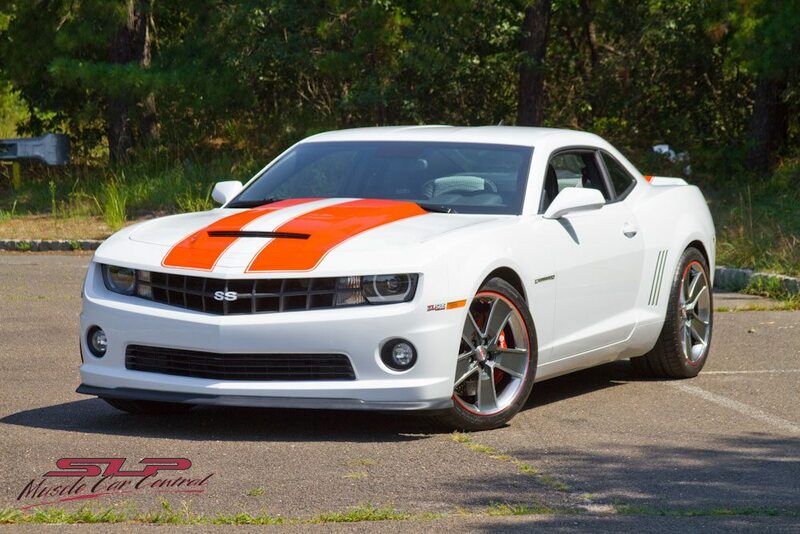 Based on the 2011 Camaro SS, only 500 sequentially numbered ZL560 and ZL585 cars will be built using any combination of coupe, convertible (when available), manual or automatic transmission equipped cars, all with a 5 year/100,000 mile powertrain warranty . Available in any factory color, the Supercharged Camaro’s performance and curb appeal are enhanced by a positive displacement supercharger (similar to the one GM includes with the new ZR-1 Corvette) and highlighted by SLP’s aggressively styled composite hood with functional scoop (design patent pending). Produced by SLP Performance Parts, Inc. (SLP), and only available through Chevrolet dealerships nationwide, these Supercharged 2011 ZL Camaros offer the all-around performance, handling, braking and head-turning styling true to its distinctive nameplate – in a way that only SLP can provide. 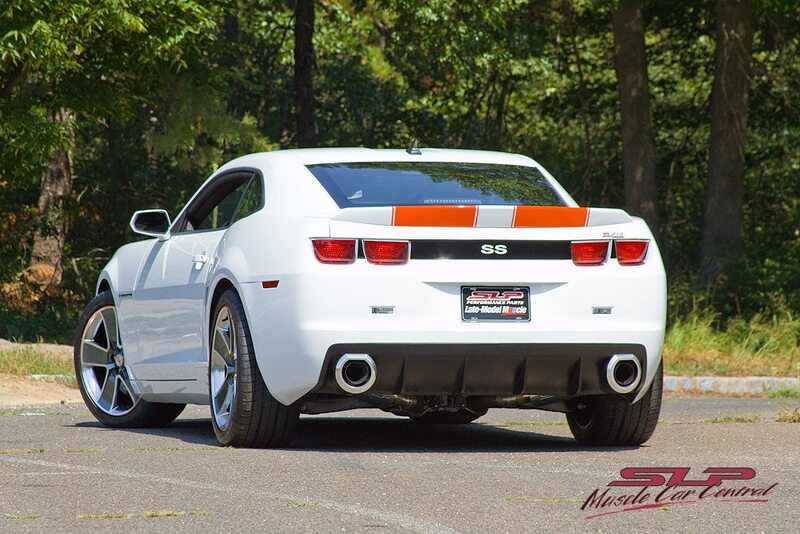 Throughout the Supercharged Camaro’s development process, our objective was to engineer the very highest quality performance, handling and braking improvements that would provide the performance enthusiast with a well balanced package. Not only will our Supercharged Camaros outperform the competition, they’re built to ensure long-term satisfaction and are covered by SLP’s 5 year/100,000 mile warranty. The Heart and Soul of SLP’s Supercharged 2011 ZL560/585 Camaros is our 2300 Series TVS, High-Output Supercharger (black finish). It features a unique four-lobe rotor-pack design for higher power and efficiency. This is the same technology offered in the new ZR 1 Corvette supercharger, and provides stump-pulling torque and neck-breaking acceleration. The Supercharger increases the power of the stock L99 (automatic transmission) 6.2L V8 engine at the flywheel from 400 HP to 560 HP and the stock LS3 (manual transmission) 6.2L V8 engine at the flywheel from 426 HP to 585 HP. 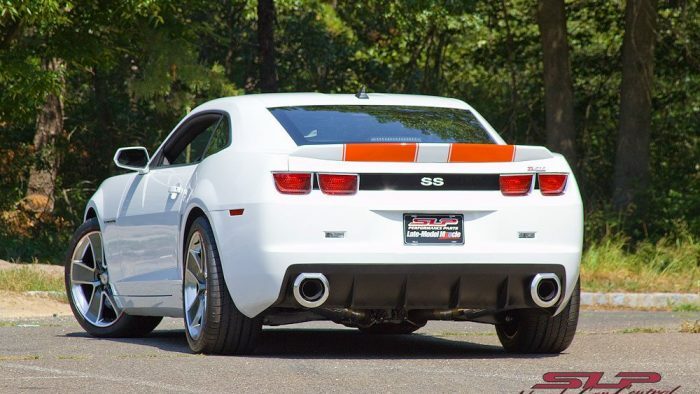 SLP’s Supercharged 2011 ZL550/575 Camaros are emissions-legal in all 50 states.